Media Spotlight - Menu Innovator® - Ramen - Super Noodles! We love Ramen! For a long time ramen was just “that stuff with the foil packet”. And for many of us, the “ramen budget” was a part of the college lifestyle. Now, it’s so much more than cheap and salty! Find ramen made into burger buns, as ramen cakes, or used as a starting point for all kinds of fusion. Chefs jump at the chance to create ramen pop-ups. 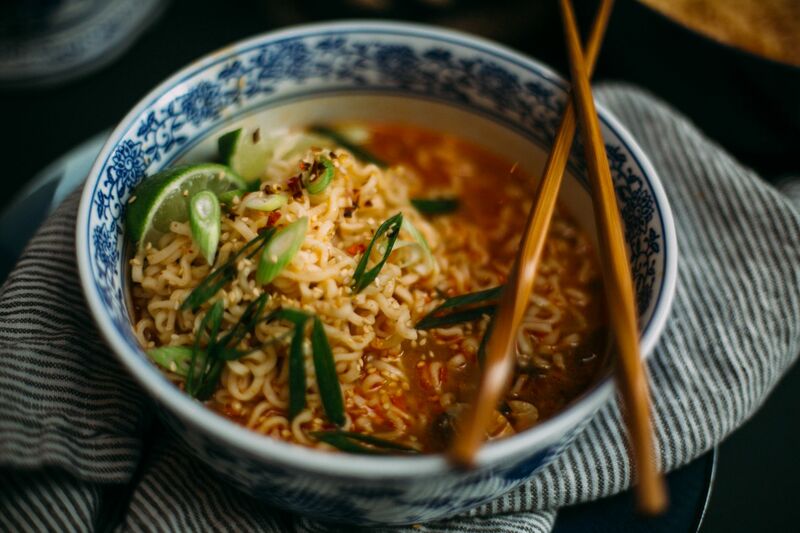 Jonathan Zarahoza recently turned his family’s Mexican restaurant into a pop-up ramen shop for one night only, bringing two of our favorite cuisines – Mexican and Asian – side by side in one bowl. Did we mention that if you visit Uni in Boston afterhours, you can enjoy their late night ramen menu? It’s one of the best! Ramen not only satisfies diners’ needs for comfort food, it’s a great option for health food that’s not so boring. There's little better than a hot bowl of ramen, teeming with noodles, aromatic broth, and plenty of add-ons. We know that between the pork belly and the soft-cooked egg, traditional bowls of ramen can lean toward mega-indulgence. But ramen is easily lightened up. Even vegetarian versions of ramen are heavy on the flavor. Onion, carrot, celery, cabbage, and—of course—noodles make a satisfying meal, while ingredients like chile paste and garlic kick up the flavor. With endless varieties just remember, no two ramens should be exactly the same! What are some of your favorite combinations?